VFD derating is a manufacturer requirement when equipment ambient temperature is above 40 C degrees OR when equipment site is above 3000 feet in altitude. It is clear for manufacturers and engineers to avoid temperature derating by having the VFD's ambient temperature not to exceed 40 C degrees. On the other hand, VFD's manufacturers claim on altitude derating is due to thinner air at higher altitude that compromises the heat dissipation from the electronics. Although, it is a real claim, manufacturer's don't express allowances or methods for engineers to avoid the altitude derating. It seems intuitive that with a controlled ambient temperature we can provide the necessary cooling to the VFD equipment. 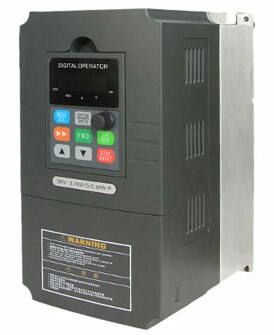 Nevertheless, VFD's manufacturers have stated that altitude derating shall be done regardless the ambient temperature. Where derating of a VFD becomes an issue is when a specifier requires a CURRENT rating at an elevation greater than 3300'. If a 200hp motor is specified for an application at, say, 6000', then a 200hp VFD would be appropriate. If CURRENT output of a variable frequency drive at 6000' needs to be 230 amps, then derating would have to be calculated. When the information for design is poor, you'll end up with a big unnecessary VFD, the biggest impact in derating is taking by ability of heat transfer by the thin air. Working many years with application above 4500m, I'll take in consideration the following factors: Full load motor amps (never design by power); Ambient Installation temperature (@ 3000m never the temp goes over 25ºC, so, you have an extra capacity in amps for the VFD, some manufacturers have table with increase factors for lower temp), Altitude (conservative manufacturer use 1% derate every 100m, some calculate the real effect and state a factor) and voltage (thinking in an installation above 5000m you'll probably will need bigger insulation, for example for 480VAC motor, you'll need a VFD with voltage insulation of 575V or 600V the problem here is some VFDs can't work continuously in under voltage, some can). Bonus Extra, cosmic radiation affect the power electronics, reduce warranty.